Created in GameMaker Studio 2. Q and E to swap through colors of yarn. There's no undo function, and stitches will not place over each other. If you make a mistake, apologies, but you'll have to restart. No frogging support here! 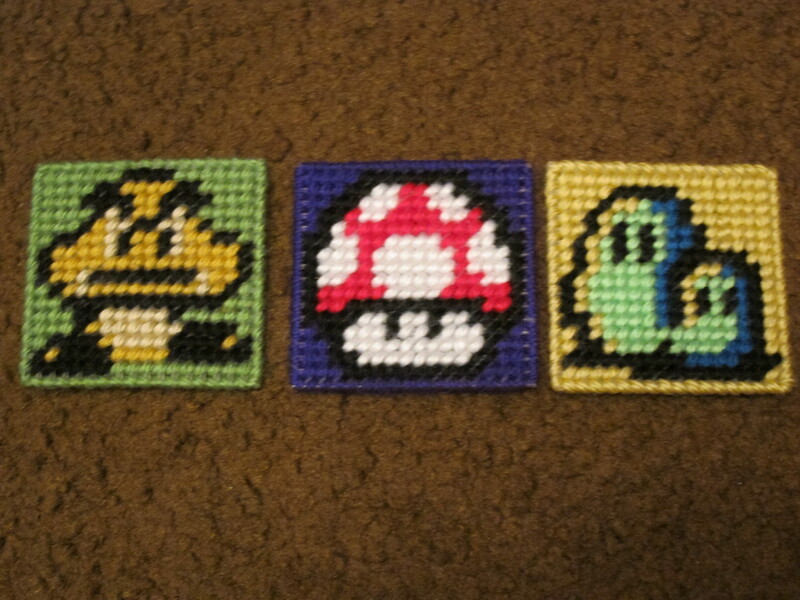 During SGDQ I made some needlepoints. 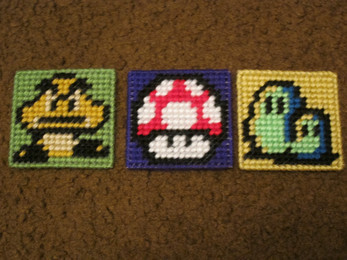 By making an 18 by 18 square cutout of a plastic needlepointing mesh, and then finding sprite sheets of Mario 3, I went and made little charms using size 4 medium yarn, shown in the screenshot section. I also made a very very early draft of a game/art program about needlepointing, but by the end of the jam, was only in an "at least playable" state. Lots of stuff apart from GDQ happened that week, including a friend showing up who had been on the other side of the planet for the last year or so, a laptop full system update, and a mild scare as a result of it that made me waste another day doing a full virus scan as a precaution. The plan was (is?) to turn this into a sort of autobiographical game, where you actually need to work around common needlepointing issues, like the yarn knotting, threading the needle, starting and ending a thread properly, etc. Hope you enjoy at least lookin' at those real world ones I made! 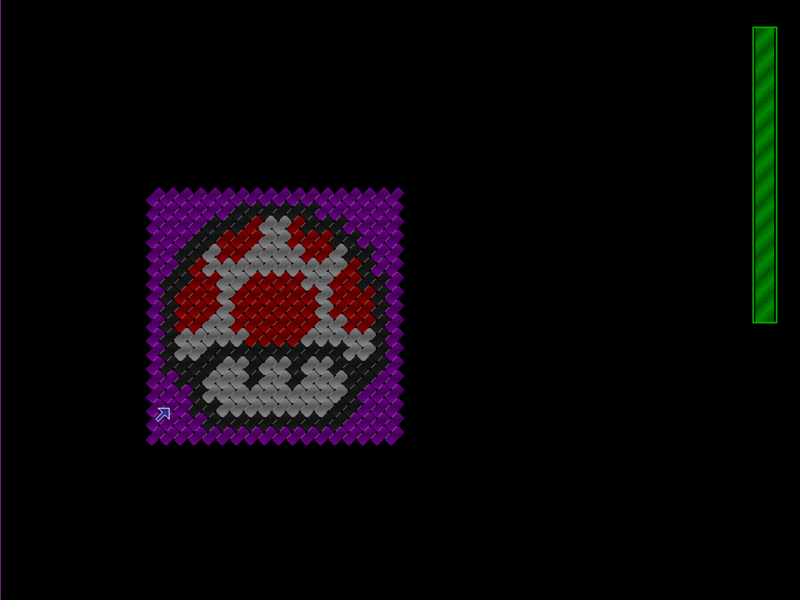 Windows only, made in Gamemaker Studio 2. Unzip the file into the destination of your choice, and run the exe. Make sure the data.win is located in the same folder!